The Stikine is a 400 mile long river that goes from Alaska into British Columbia has some sections on it that John Muir compared to Yosemite Valley. 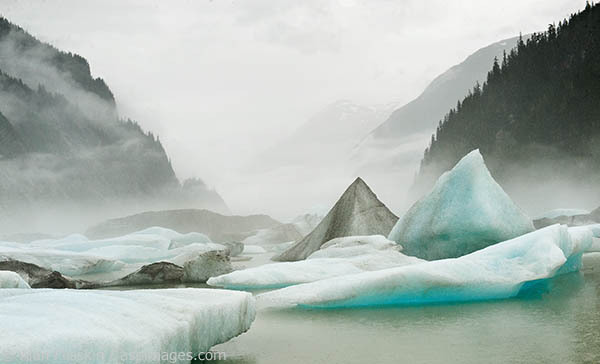 Unfortunately, due to the proliferation of icebergs we were not able to travel very far up the river. However, we were greeted with constantly changing fog which made for some otherworldly scenes.